Wildlife in the Loch Ness area. Watching wildlife can be great fun and relaxing at the same time. The Loch Ness area is just wonderful for photographers of all abilities. The Great Glen which runs from south-west to north-east for around 100 kilometres is one of the most striking landscape features in Scotland. A chain of long, narrow lochs sits in the trench gouged out by glaciers thousands of years ago along an ancient faultline in the Earth’s crust. At the heart of the Glen lies the most famous of these inland freshwaters - Loch Ness. The real wildlife in and around the loch tends to get overlooked in the ‘monster mania’ but there is a magnificent variety of scenes, plants and creatures. Within these varied scenes of woodland, forest, burn gully, shrubby ground, moorland, shoreline and the loch itself lies the beauty of wildlife - just waiting to be found. 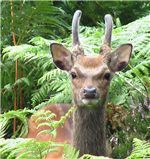 There is a rich variety of wildlife in the surrounding area some of which has been captured on film. 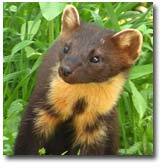 View the separate pages to see some of the wildlife that can be seen in the various habitats near Loch Ness and in the local area generally.